I made my first bow with Lynn Hannings at the University of New Hampshire bowmaking program founded by William Salchow and have continued my studies George Rubino, Matt Cooker and Steve Beckley, and am a member of the Violin Society of America. I have learned the essential elements of hand work in the French and contemporary traditions from them- I make the bow from pernambuco log through the first application of hair. 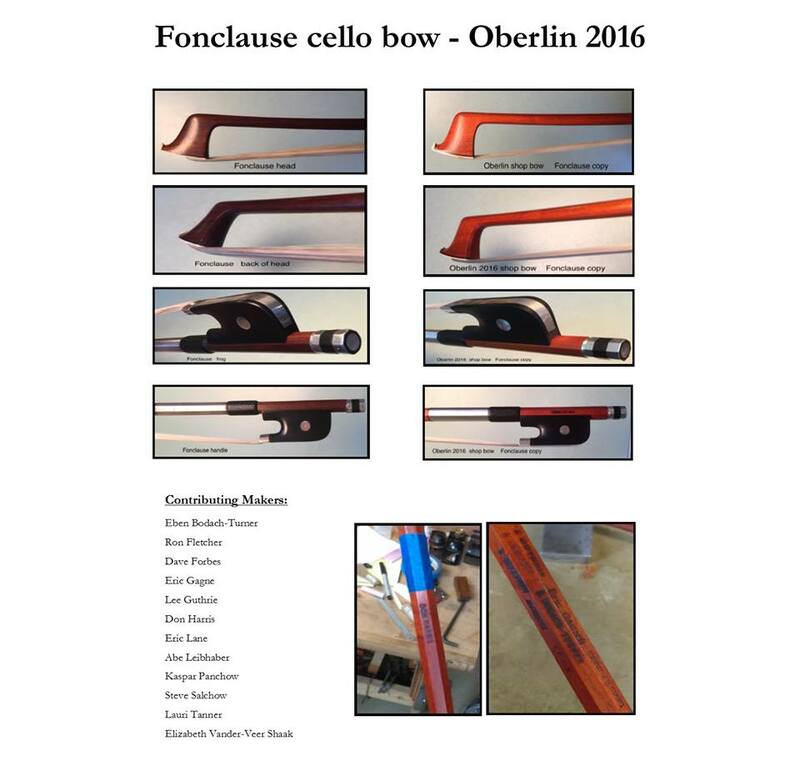 More recently I have taken part in Summer Workshop in bowmaking at Oberlin (Violin Society of America) where I contribute to the group reproduction of interesting bows for well-known customers. Oberlin allows me to get to know, learn from, and work with many master bowmakers from the US, Canada, Switzerland, Finland, Belgium, Japan, Denmark, and England. I use quality materials in my work: excellent old pernambuco wood, fine-grained ebony, Japanese and Californian abalone shell, and traditional as well as novel tip materials. I enjoy combining them to make bows that feel good in the hand of the musician. As a professional cellist I have lived and worked in Santa Barbara, Los Angeles, and the East coast with an emphasis in opera performance, and now keep a shop in San Diego where I make new bows and restore, rehair and repair older fine bows as well as student models. I believe that being a performer contributes to the quality of my bow making. Each unfinished bow is as unique as the musician who ends up using it, and I take particular satisfaction in making choices that determine the feel of the final product. Below is a comparison of the model and the copy I contributed to during the 2016 Oberlin VSA Bowmaking program. Very interesting to see the similarities and differences on full display like this. My contribution: I supplied the pernambuco blank for this bow from my collection, roughed out and performed the initial cambering of the stick, and worked on the button. I enjoy seeing a bow stamped with so many brands under the silver wrapping! Image courtesy of Claire Givens Violins.